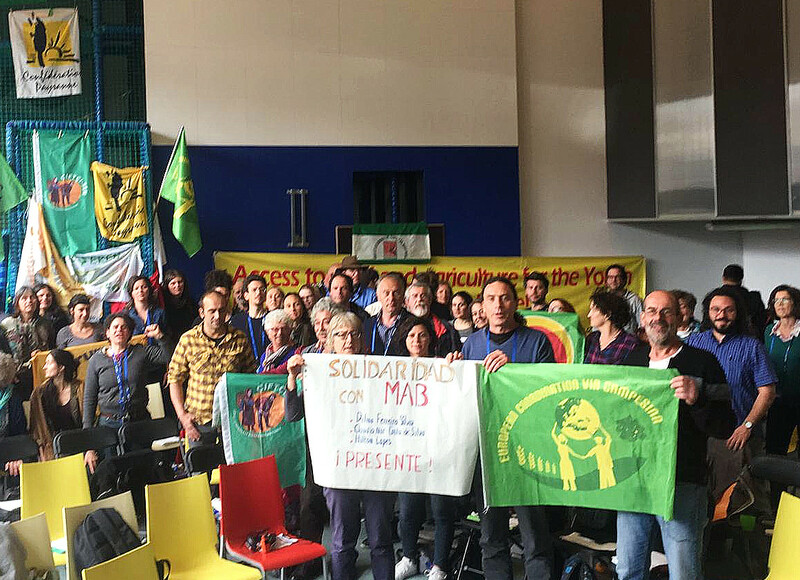 Gathered for their General Assembly, the delegates of the European Coordination Via Campesina (ECVC) express their solidarity with the comrades of the MAB (Movement against Dams) and denounce the murders of their militants, Dilma Ferreira Silva, Claudio Costa de Silva and Hilton Lopès. These events are part of an unacceptable policy of criminalization and repression of social movements and struggles in Brazil. ECVC denounces the increase in violence and repression both in Brazil and throughout Latin America. Last week, 8 indigenous leaders from Cauca/Colombia were assassinated, as well as Sergio, an indigenous leader from Costa Rica. ECVC condemns the rise of the extreme right, fascism and repression in the interest and the benefit of the big multinationals that plunder the resources of rural communities all over the planet. Unity and struggle against the criminalization of peasants and human rights activists!